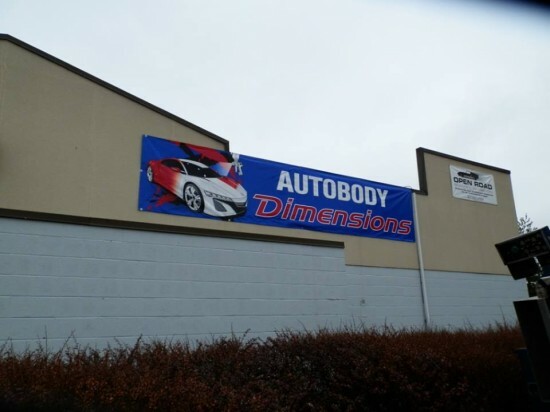 Here is a quick little job we did for our great client Tammy at Autobody Dimensions. 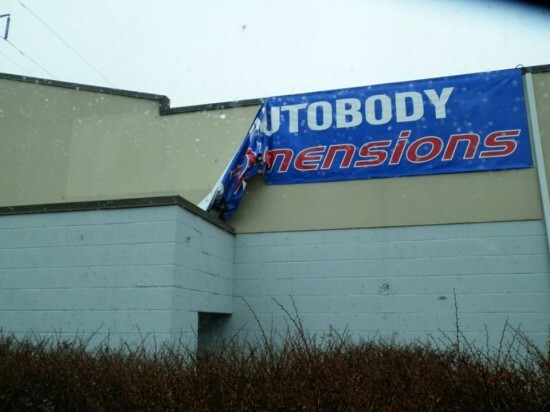 Her banner had come unattached due to high winds. Within 12 hours of her calling DMS we went to site and fixed the problem and NO CHARGE to the client. Here is the quote from Tammy: “Thanks so much! I was up there today and saw it had been re-attached. Appreciate the prompt and courteous service”.